Hey Seattle readers - Excited to be back to share another free preview pass for an upcoming event. 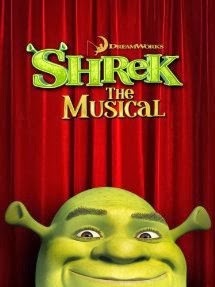 This time the show is a theatrical screening of Shrek the Musical. So I assume it's at least partially for kids. Or people who like musicals ... maybe both. As always please remember that these public free screenings are overbooked - so you'll want to arrive early and with an open mind about getting in. The show is at the AMC Pacific place on Saturday 10/12 at 10:30 AM. But don't run off quite yet, you'll need to print yourself a ticket. Details follow. You can download the admit 3 pass here. Now I suppose that technically means that one of your 2.4 kids may be out of luck. But the good news is that the "exclusive" pass can be printed again and again (if I understand this newfangled technology correctly). So you can bring as many young'ins as you want. So long as they're OK possibly not getting in to see their favorite donkey onscreen due to other people being in line ahead of them. That's either a great life lesson about scarcity and patience, or the worst weekend of your life. Search deep inside for the answer and then act accordingly. In case you missed it here the link for the printable PDF. Oh, and you can also pre-order the DVD/Blu Ray and watch it in the comfort of your home or watch it streaming right now. Though that's of course not as free. awesome my nephew loves sherk!